Such repositories have few parallels even in Europe, where music has long become an integral element of culture and a sign of culture. 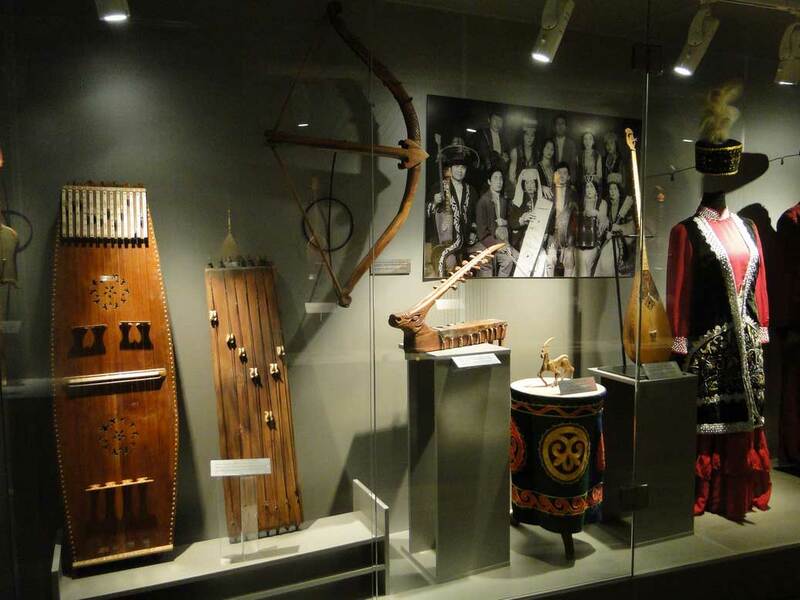 The Kazakh Museum of Folk Musical Instruments in Almaty is the only one in the world. Such repositories have few parallels even in Europe, where music has become an integral element of culture and a sign of civility long time ago. But who knows who was more musical and more influenced by music: either refined Europeans, who came to listen to concerts with music scores of compositions, or natural nomadic Asians, who traveled hundreds of kilometers to listen to a song contest between their favorite akyns! 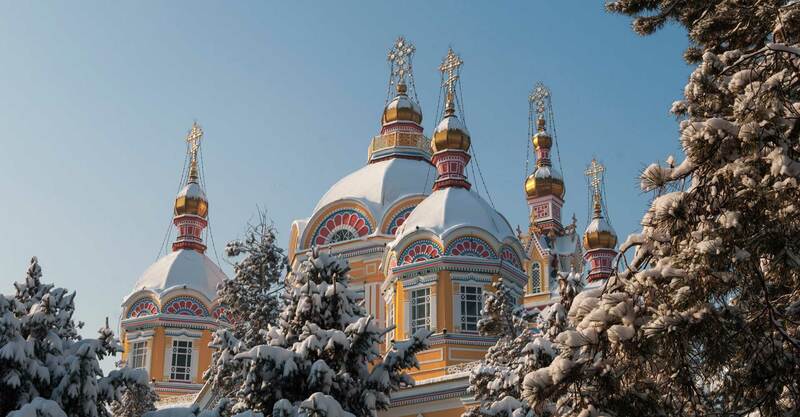 The museum is located in the historical center of Almaty, in the building of the former House of Officer Assembly built in the city of Verny by the most famous local architect Andrey Zenkov (builder of the Orthodox Cathedral, one of the city symbols). However, many modern visitors think that the fairytale wooden mansion was originally designed for careful preservation of the musical heritage. Indeed, it is difficult to find something more harmonious and integral than this carved casket and its contents! That’s a real music box! The museum carefully collected everything that delighted the permanent musical thirst of the inhabitants of the Great Steppe. Where a lot, if not all, of the little that was at the disposal of not too much burdened with the things nomads. For example, the hooves of horses, a kind of mega-castanets. Or asyks, which served as pins for steppe gusli. Or strings made of camel veins, horse hair, and goat intestines. The materials from which the musical instruments of Kazakhs had been created were flesh from the flesh of nature that surrounded them. And the masters who made them were only a little bit inferior to the performers. So, the Steppe had its own Stradivariuses and Guarneris. Well, the fact that in Europe they are not known is understandable, Europe rarely descends beyond its own importance and self-sufficiency. And speaking about the performers, in the steppe hierarchy they actually stood next to khans and sultans! And still it is not known, whom the freedom loving steppe people followed more, the cruel orders of the rulers or the voices of their singers. In any case, judging by the posthumous fame the graves of famous singers are much more visited by descendants than mazars of former rulers! Not only the world kings, the Death itself retreated before sounds, exuded by sophisticated fingers and subtle souls of the masters! A story of Korkyt-ata, this steppe Orpheus, who stopped the time and fascinated the fate with his passionate kobyz play, is amazing. While he was playing, the Death had no power over him. But even after the inevitable happened, Korkyt-ata continued to live, turning into a patron saint of singers, performers, and shamans. And his kobyz, resembling an archaic cello without a top deck, a steppe instrument with the strongest sound, turned into a kind of deity itself. It is certainly for a good reason that the memorial hall, where the authentic instruments - inseparable companions of such masters as Birzhan-sal, Dzhambul, Ykhylas, Dina Nurpeisova, or Akhmet Zhubanov - are presented, is one of the most attractive for Museum visitors. One of the gems of the collection is a three-stringed dombra of great Abai Kunanbayev. Our own Mozart? And our own too! That fame and popularity that famous kiuishes, akyns, and zhyraus enjoyed among the Kazakhs is also quite comparable in Kazakhstan with the glory of great composers and performers in Europe. The current refined Kazakhs have an enviable musical bilingualism. They know and appreciate not only the world music, but also their own, traditional, primordial. So, every genius Mozart has his twin here. Example? For example, Dina Nurpeisova, whose dombra is reposited in the Museum among other rare items. As it is well known, a musical genius of Mozart uncovered itself at the very tender age. To be more precise, at the age of three he already played the harpsichord, at the age of four he not only played but also improvised, and at the age of seven he already become author of sonatas published as a separate edition in Paris. However, a genius is still a genius even in Asia, only instead of the exquisite Salzburg society there are harsh nomads, there is dombra instead of harpsichord and kui instead of sonatas (and Dina instead of Wolfgang Amadeus). It is known that Dina took the dombra as soon as she learned to hold something; at the age of four she already played and picked up the melodies, and at the age of nine she already highly adepted at playing the favorite instrument of steppe dwellers and tempted the public. In the biography of Mozart his father Leopold played a key role, and Dina's father Kenzhe played a key role in Dina’s fate. And just as the best masters of the European music of that time catered to the young Mozart, Kurmangazy himself - the steppe's Beethoven - gave lessons to young Dina! 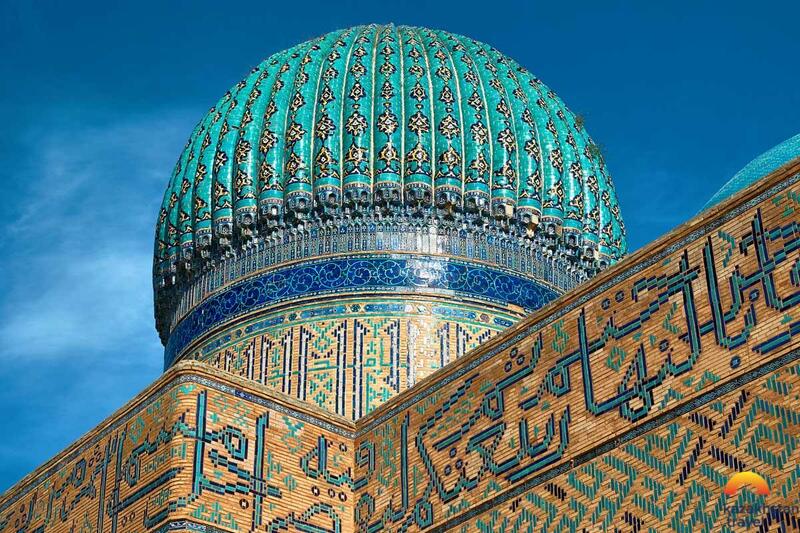 The travelers and explorers of Kazakhstan, who visited and studied the Great Steppe in the 18th-19th centuries, were very solidary in their descriptions when it went for the musicality of Kazakhs. Deprived of philharmonic halls and theater premises, the steppe inhabitants, meanwhile, were sophisticated and subtle connoisseurs of music and sincere admirers of a song. “When the evening came (...) some of them played dombra in the yurts, ... and young girls, sitting in a row at the gratings in the yurts and having raised rows of felt, accompanied this music with voices”. Another traveler in the old Steppe, the orientalist Peter Pashino, speaks of professional musicians in the local community who were “a special kind of singers who travel from one aul to another doing nothing but singing all their lives”. And it is continued by another author of the last century, Adolf Yanushkevich, who was present at the performance of such a singer, who: “... sang for several consecutive hours with unprecedented lightness and skill, brave and charismatic voice... Entirely enwrapped in his improvisation, and everybody listened to him with admiration”. Such testimonies on musicality of the steppe people can make a sizeable folio. It is no coincidence that even today among Kazakhs there are so many world-class performers and winners of all sorts of international music and song contests. And existence of this unique museum in the historical center of Almaty is no coincidence as well.